Neal Sekhri’s energy bounces off the wall: he fidgets, moves at a fast-pace and talks in an endless stream of thought. You see how this translates behind the decks as one-half of MadStarBase when he isn’t DJing, he doubles as the hype-man. Sekhri knows how to get the crowd on his side, to get them ready to party. Anant Ahuja is the counterweight to this energy. Ahuja is soft-spoken, bordering on shy. He’s laid back and pragmatic. His words are measured and never reveals more than what he wants. 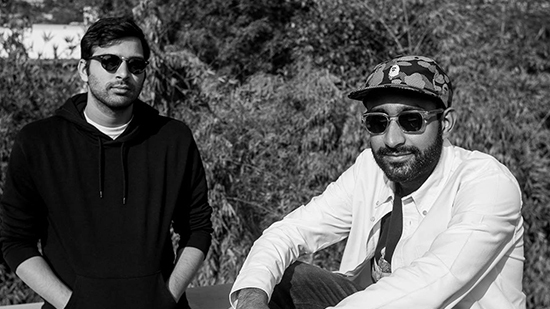 He’s the other half of MadStarBase – the New Delhi-based hip-hop duo. Ahuja and Sekhri have known each other their entire lives, almost. Growing up together in India’s capital, in the same school, the two have intertwined themselves with the music scene in the city. Inconspicuous workaholics behind the curtain for years, the duo now find themselves at the beating pulse of the community. They are two (of a dozen) members at boxout.fm, working hard to make the online radio station the cultural behemoth it has become. Alongside boxout.fm’s success over the last two years came the quick ascension of MadStarBase. The duo have become renowned for their late-night energetic sets. As Sekhri said, “We are the party starters, dance floor murderers. We aim to shut down the place, blow up the speakers.” Blending genres seamlessly with no inhibition, the duo have been known to amalgamate different sounds and cultures from across the world. Or as Sekhri proclaimed, “any music that makes you wanna get down and dirty”. The duo started MadStarBase (MSB) along with a crew of creatives when they were in high school and college. Made up of a collective of producers and beat-makers of their close friends in high school and college, they would send each other beats all day. Alongside core members Zach Khan and Mike Milas and extended family David Marston and MEMBA, Sekhi and Ahuja make up MadStarBase today. It’s the duo who are renowned, though, in the Indian music industry. The way the two create the beats they’ve become known for – a blend of Bollywood and old school RnB – is through years of practice. It started for Ahuja back in high school. He was making beats for his cousin, RiSK – the two describe him as “an OG of the Indian hip hop scene” – when Ahuja realised he loved playing around with Reason, the music-producing software. After DJing a few times in college, Ahuja started taking music production seriously when he and Sekhri moved back to India. “Since we’ve been producing together for so long and now DJ together frequently as well, it’s easy for us to catch the same vibe,” Ahuja explained. This symbiotic relationship is epitomised in their last release, ‘The Culture Project’. A collaborative mixtape with fashion label NorBlackNorWhite (NBNW) and FILA, the duo manage to seamlessly blend together well-known RnB hits with quintessential Bollywood tracks. “NBNW hit us up for the first video they made for their collection called Shimmy Shimmy Ya,” Sekhri mentioned. Giving them a bunch of songs that they wanted mashed together, Sekhri and Ahuja found that they loved what they created. It hinted at something that they could take further. 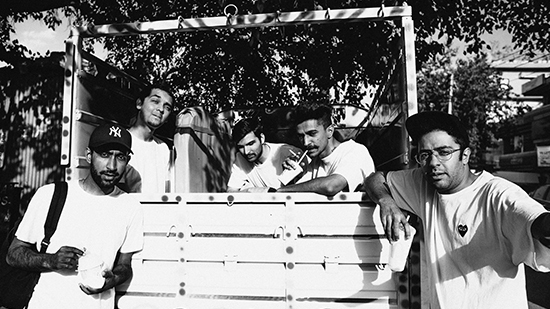 Sekhri and Ahuja have come a long way since making bedroom beats. 2018 also marked the first time they’ve been signed. 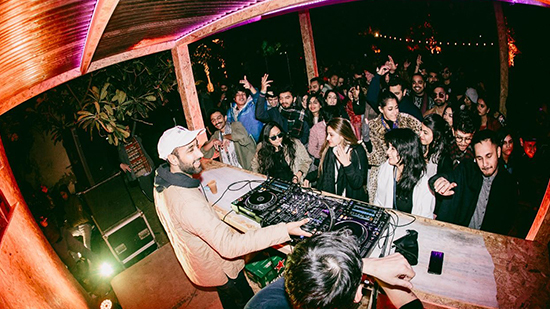 Third Culture, an artist management and events company that boasts the likes of Nucleya as a client, got MSB to put pen to paper on a deal last year. With constant work behind the scenes to polish their production and DJing, MSB are looking at the future as a rosy one.